Our sister network, Total Basement Finishing, specializes in basement finishing of all types. The warranties on their products are measured in decades -- not months -- and they've been winning awards on their products and services every year since the network was founded. Many Basement Systems Dealers are also members of the Total Basement Finishing Network -- we love what they can do! One of the top reasons that a homeowner will install a basement waterproofing system is because they're planning on finishing the space afterwards. Our basement waterproofing system is a great idea if this is your plan -- it includes a limited lifetime warranty, provided in writing. This warranty can be transferred to the next homeowner, giving you a marketplace edge should you ever sell your home. Your local Basement Systems Dealer will also be able to help you prepare your basement for finishing. We have excellent products that can insulate your basement, provide studs for wall panels, and create a bright, beautiful, finished basement floor. Contact us by phone or e-mail today for a free basement floor finishing quote! When the time comes to add more living space to your home, you have two options: either build an addition, or opt to finish the basement. Building an addition is an expensive and invasive process that can take weeks to complete. And while you add on to your available living space, you also lose a portion to the newly constructed addition. When you finish the basement, you already have the walls built, and many wires, pipes, and utilities in place. Basement finishing can be done at half the cost (and a fraction of the installation time) of building an addition on to your home. 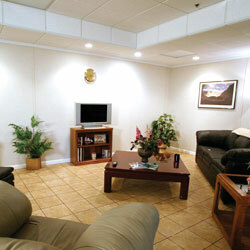 Total Basement Finishing dealers provide homeowners with their innovative EverLast™ Wall Panels. This finished wall system combines our insulated Basement To Beautiful™ Panels with a cementitious wallboard and washable vinyl covering, providing an industry-leading R-13 insular rating. They're so strong that you can mount bookshelves, pictures, and even a full-size plasma TV anywhere on the walls -- with no need to locate a stud! This waterproof basement wall system is completely inorganic, and will not support the growth of mold, mildew, or rot in the material. Our wall products can be used to either prepare your basement for finishing or to upgrade for a drier, healthier, and more energy efficient space. Our unfinished wall products are ideal for keeping moisture from passing through your basement walls while improving the appearance of the walls. We can also insulate basement walls and improve their energy efficiency for utility bill savings. Finishing and insulating your basement walls is a great investment in your home. Along with saving up to $450 per year on your home's utility bills, basement remodeling will also provide a return on investment of 70% of the cost of the installation. This makes it a better investment than adding a garage or bathroom, adding a story to the home, or conducting a major kitchen remodel! Which Wall Product Is Best For You? Mix And Match Your Flooring! All ThermalDry® Floor Systems can be integrated with one another, as can the different color choices for our MillCreek Synthetic Wood Floor Systems. We have five tiled flooring designs, three different options for our MillCreek Flooring™, and a sub flooring system to protect your own custom flooring. Designs are available in carpeting, natural stone design, parquet wood floors, and faux wood. You can mix and match our basement floor products to create any custom design your can imagine! Concrete slab floors are cold, ugly, and uninviting. And because concrete is a porous substance, it brings humidity from below the slab into your basement continuously. 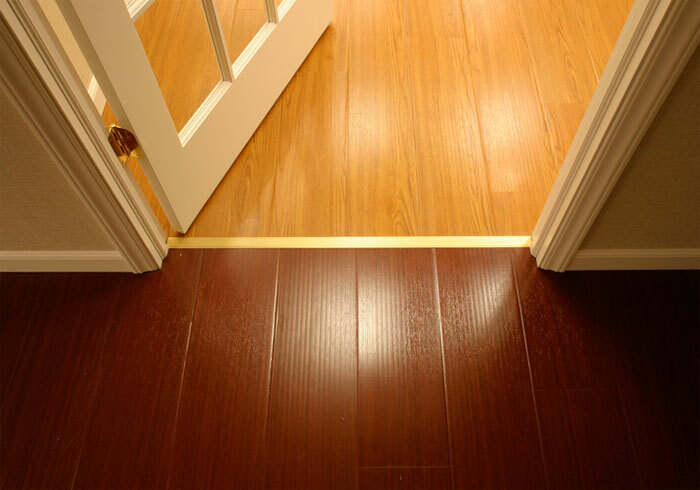 Our flooring products are designed to resist the humid (and sometimes wet) environment that exists in a basement. We have eight different finished basement flooring products that can be combined to create any customized look you'd like. Or, if you have a custom carpet in mind, we can install a sub floor system that will keep your carpet warm and protected from humidity from the concrete slab. 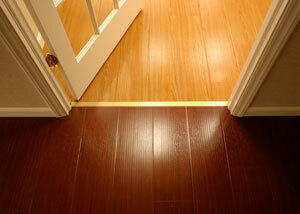 At 3/8", our sub floor system will maximize the available head room in your home. 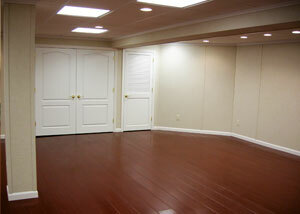 Let Us Prepare Your Basement For Finishing! We have everything you need to upgrade those basement walls and floors! Whether you'd like to finish your basement afterwards, you're hoping to save money by insulating your walls, or you'd just like your basement to look and feel better, we have the products and services you need. It costs nothing for you to meet with one of our certified basement experts! Call or e-mail us today, and we'll set you up with an appointment for a free, no-obligation basement upgrade quote! 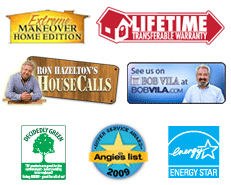 Included with each free quote is a professional, on-site inspection and consultation, as well as a written cost quote. Before our visit, we'll also mail you a complimentary full-color copy of our full-color basement book! Our dealers proudly serve throughout Canada, the United States, and the United Kingdom. There's a locally owned and operated dealer in your neighborhood that's ready to help you!